It's finally September which means Fall is right around the corner! The pieces above are just some of the items in my wardrobe that I'm looking forward to wearing, but unfortunately for NYC, the weather doesn't actually start cooling down until mid to late September (we're currently experiencing 90 degree weather here this week which is unbelievable). Nevertheless, that doesn't mean I can't start shopping for colder weather! 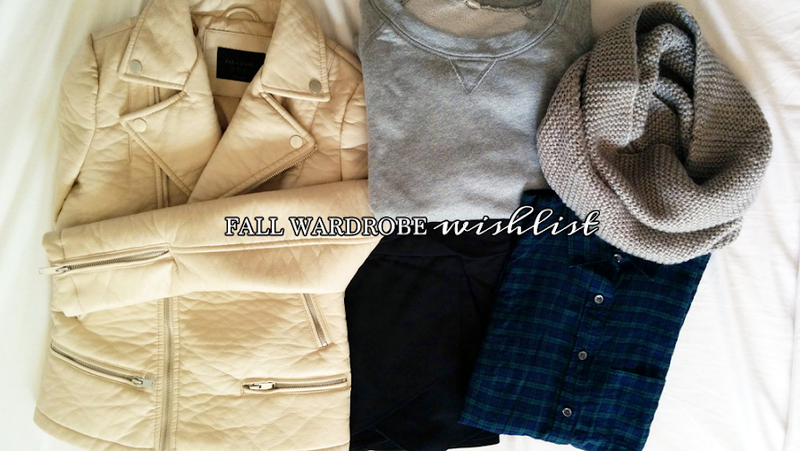 I already have in fact - click through to see my clothing and accessory wishlists for Fall! What are you wishing to get for the fall?